Milan’s Malpensa Airport is located 31 miles (50 km) from Milan City Centre. The Malpensa Express train will bring you quickly and efficiently from Milan Malpensa airport into Milan’s three main train stations — Milano Centrale, Cadorna and Milano Porta Garibaldi. Managed by TRENORD, the Milan airport train is fast, safe and comfortable. There is plenty of space to store your luggage. The train does not have WiFi, but seats are equipped with power sockets to charge your devices. The Malpensa Express train has two routes — one stops at Milan Central Station and the other at Milan Cadorna Station. En route to their final destinations, both trains also stop at suburban train stations. You’ll want to find out which Milan train station is closest to your accommodation. The trip between Malpensa Airport and Milano Centrale takes approximately 52 minutes. The train makes 68 trips daily between Milano Centrale and Malpensa Terminals 1 and 2, with stops at Milano Porta Garibaldi superficie, Milano Bovisa and Saronno. The trip between Malpensa Airport and Milano Centrale takes 32 minutes. The train makes 79 trips daily between Milano Centrale and Malpensa Terminals 1 and 2, with stops at Milano Bovisa, Saronno and Busto Arsizio. A one-way adult fare to Milano Centrale is approximately €14. Children are half price, while kids under the age of 4 travel free (as long as they do not occupy a seat. Seniors are eligible for a 20% discount. After passport control at Malpensa Airport, follow the signs saying Treni/Trains to find the Malpensa Express stations. At Terminal 1 the train station is located on the basement level. The ticket desk is open daily from 6:15 a.m. to 9:05 p.m European Standard Time. The ticket desk is open daily from 8:30 a.m. to 11:00 p.m European Standard Time. At stations: Tickets are available at Milan train stations, and at Malpensa Express stations located in Terminals 1 and 2 during business hours. 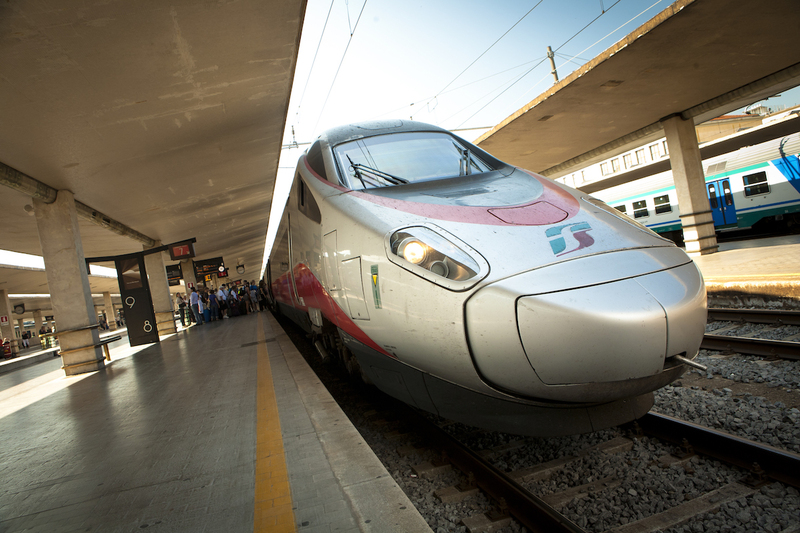 Online: Plan ahead by buying your Malpensa Express tickets online. Make sure you print your tickets so you have physical copies when you board the train. Self-serve ticket kiosks: You can buy Malpensa Express tickets at self-service ticket kiosks located near platform 3 at Milan Central Station. Before you board the train, make sure you validate your self-service tickets in one of the yellow validation machines located next to each train platform. Contactless purchase: At train stations, you can use your contactless Mastercard, Maestro, Visa, American Express card or smartphone with NFC near special turnstiles and digital signage towers to buy your ticket. On the train, inspectors will scan your card or smartphone to confirm your ticket purchase.